A little fan art of one of my favourite scenes in the Marvel Cinematic Universe. 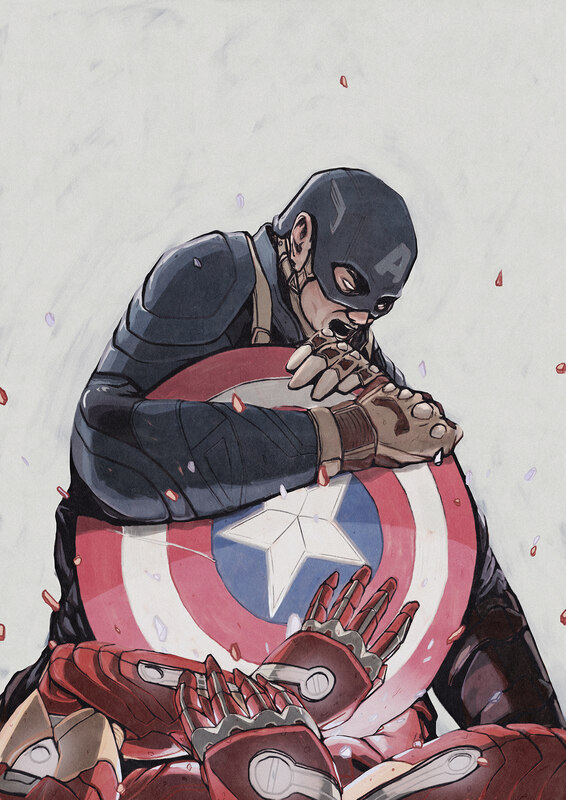 Fan art for Captain America vs Iron Man in Marvels Avengers Civil War. One of my favourite fight scenes showing Iron Man get tagged team by Bucky and Steve, but the end was just as great and just as intense.